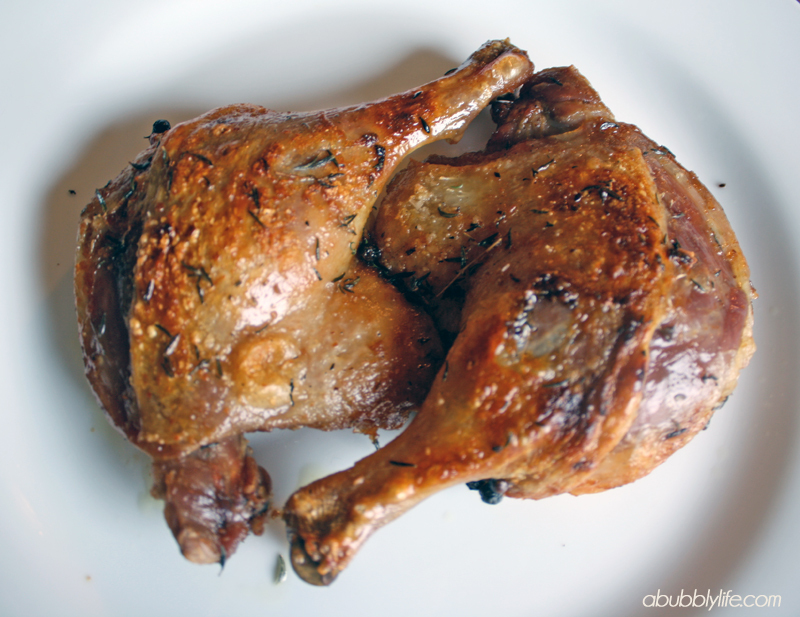 * Traditionally, duck confit is cooked entirely in duck fat, but when I lived in Hawaii, duck fat was VERY hard to come by. So, my trick was to use olive oil if I had no duck fat- then I would strain, cool and freeze the fat left after the dish was cooked to use next time. Quite honestly, I did not notice a huge difference in flavor. 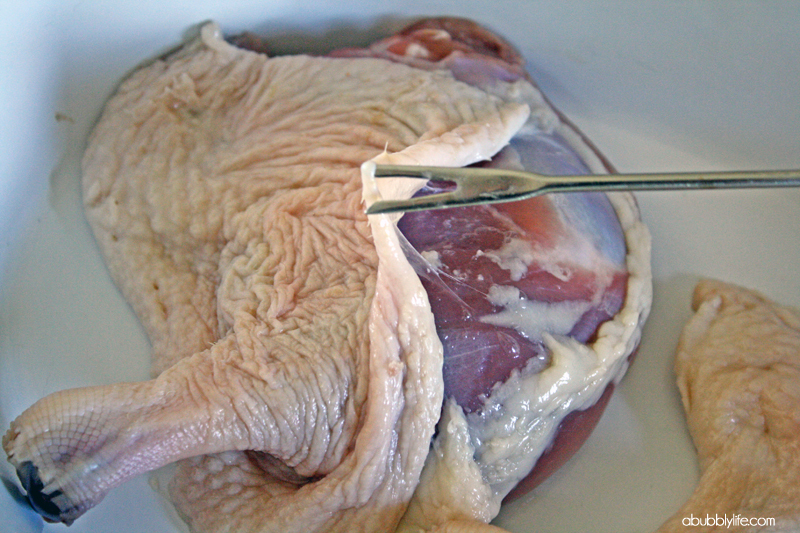 – Poke tiny holes* throughout duck skin- do NOT pierce the meat (I use a fondue fork to pierce holes, it may not be the professional way but it works!) *I poke holes because after making the dish multiple times, I found MORE fat to release using this method. It improved the dish by leaps and bounds! And serve! Roasted fennel and artichoke hearts go well with the dish! 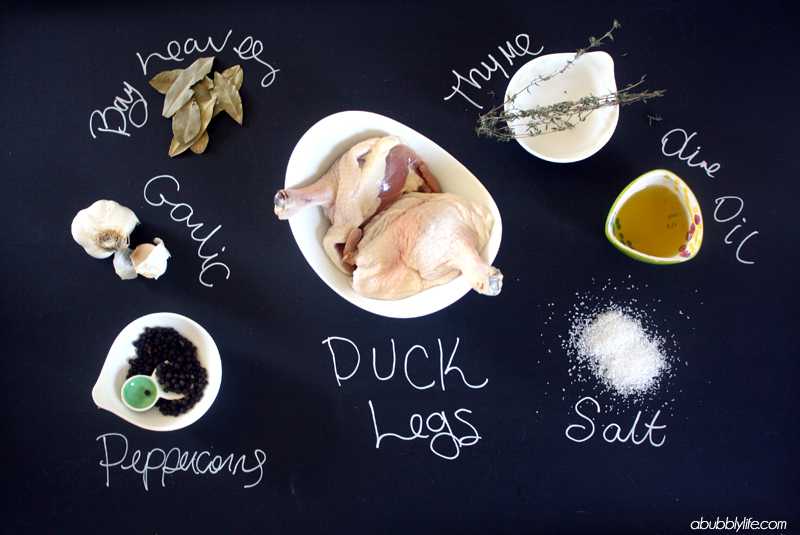 Duck confit is a great fall and winter dish- I love having the stove on for so long and keeping the house warm! 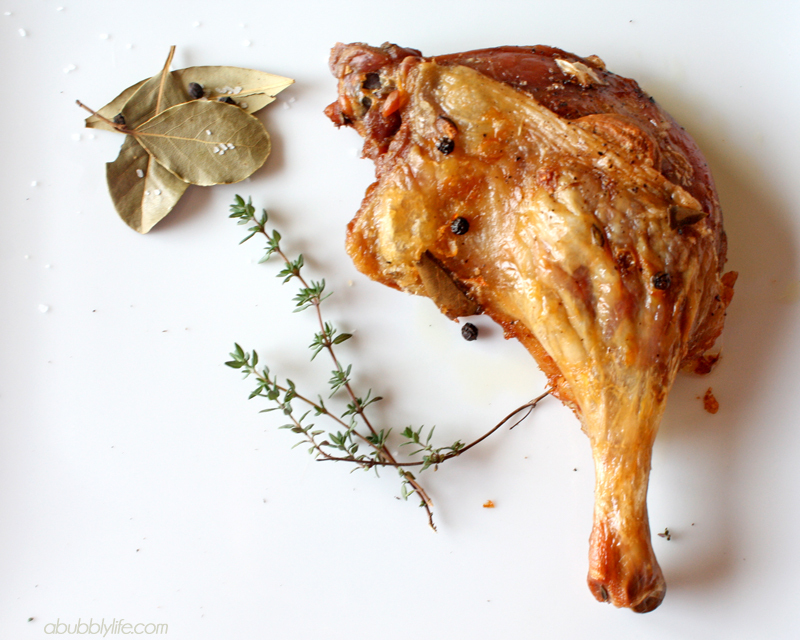 I do go against many of the traditional methods for duck confit in this recipe, but this way works with my time, schedule and is absolutely delicious. Rest assured- my method developed over years of trial and error! Please share and pin if you enjoy! Yes. This is the BEST. Hopefully, you will share more recipes like your great bruschetta!! Gorgeous meal. I've never had duck but maybe I'll give it a shot. 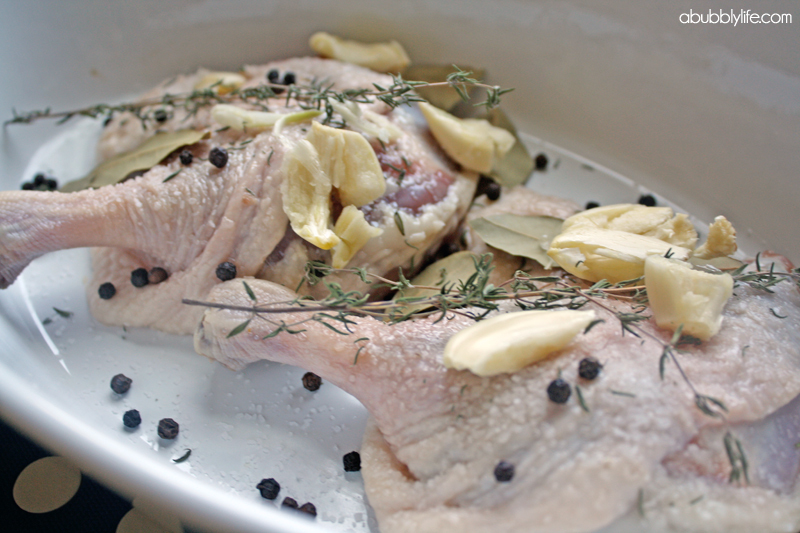 I absolutely love duck confit but have always been a little intimidated to try it. You make it sound so simple! Have you tried making it with other parts of the duck as well? If so, how did it turn out? « Weekend Loves & Lens!